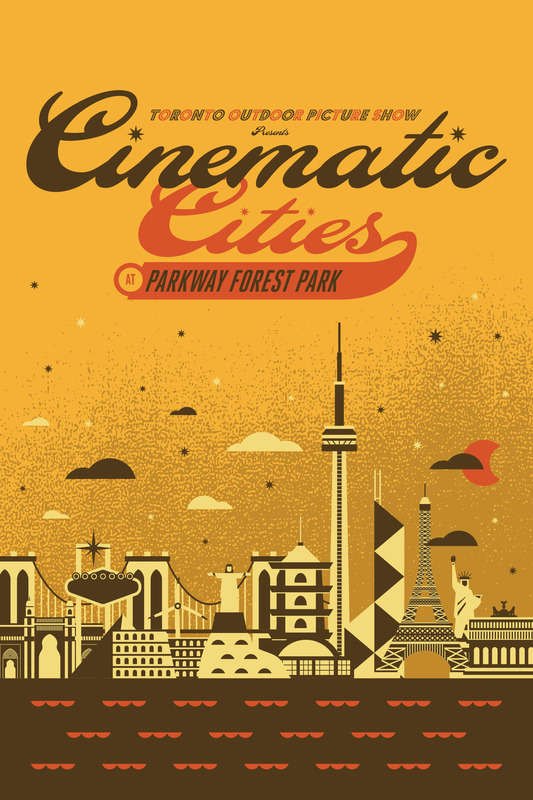 Toronto Outdoor Picture Show will present an outdoor film series titled “Cinematic Cities” for the Parkway Forest Park community in North York. Each week of this series will explore a different international city’s depiction in cinema – from New York to Toronto, Cannes to Mumbai. Throughout the series, short films set in Toronto will complement the feature films, allowing the programme to explore the diverse stories of our hometown onscreen. The overarching “Cinematic Cities” theme will draw bridges between vibrant and complex cities around the world, while highlighting the people who make each of these cities unique. We invite you to journey to Parkway Forest Park for a cinematic trip around the world, from your home across the street or across the city, just a stone’s throw from Don Mills station!